The Xiaomi Mi A2 smartphone is expected to launch in Madrid, Spain on July 24, this month. This will be the first-ever global product launch of Xiaomi in Spain. 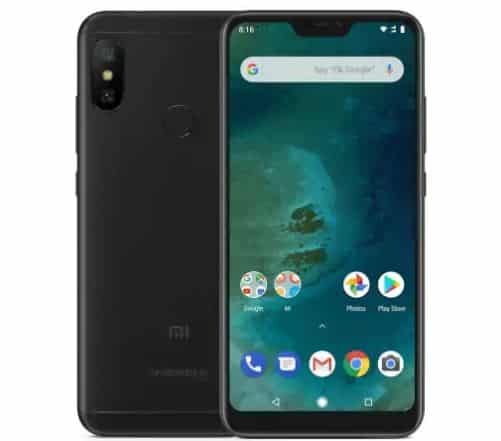 But the recent image, price, and specifications leaked online that Xiaomi is preparing for the launch of another budget segment device called Xiaomi Mi A2 Lite. As we all know that the Mi A2 is be the successor of the Xiaomi Mi A1 smartphone. Both the devices look quite similar except the visible notch display and internal specifications. The Xiaomi Mi A2 and Mi A2 Lite have been listed on Polish Online retailer X-Com’s Portal. The leaked images from SlashLeaks shows that the Mi A2 Lite has a notch display. The Xiaomi Mi A2 Lite features a 5.84-inch 19:9 aspect ratio display. The handset will be powered by Qualcomm Snapdragon 625 SoC coupled with 4GB RAM and 64GB onboard storage variant. It will have a dual rear camera of 12MP and 5MP sensors with LED flash. Whereas, the front will feature a single 5MP selfie camera. The device will be packed with a 4,000mAh Lithium-Polymer battery. The Xiaomi Mi A2 will be powered by Qualcomm Snapdragon 660 SoC along with 4GB RAM and 32GB storage variant. The handset will feature a 5.99-inch Full HD+ IPS LCD 19:9 aspect ratio display. It will also feature a dual rear camera of 20MP and a 12MP sensor with a LED flash. The front camera will be a single 20MP sensor. It will be packed with a 3,000mAh battery. Both the devices will run on stock Android Oreo out of the box over the Android One platform and both will have the rear-mounted fingerprint sensor. As per the listing, both the devices in Poland priced at PLN 9,999 (Rs.18,400 approx). So it is now almost confirmed that the Xiaomi Mi A2 is similar to Xiaomi Mi 6X and also expected that the price will be around similar like that. After the launch in Spain, Xiaomi will definitely launch this device in the Indian market as well. So, we have to wait for the official launch.